Clutch is the brother with two sisters! He has the short hair coat and loves to sleep under beds or blankets with his little nose and ears peeking out. 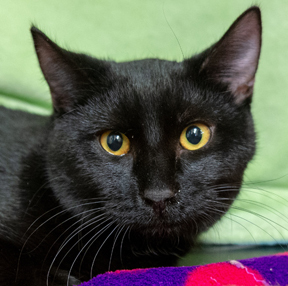 Clutch is a cat that likes a quiet and polite introduction, so a calm, mature home would be more to his liking.